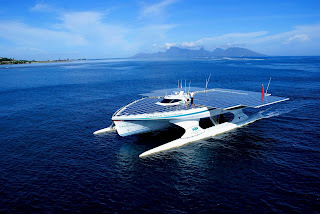 The catamaran has a solar PV surface area that covers more than 530 square meters with a capacity of 93.5 kilowatts. That onboard power has been enough to lead the crew from Monaco through the Straight of Gibraltar, past Cuba, to Miami and Mexico, through the Panama Canal, across the span of the Pacific, to the eastern coast of Australia, up through Southeast Asia to Hong Kong, westward to the southern tip of India, into the Gulf of Iman, back down and into the Red Sea, where it crossed through the Suez Canal and back into the home waters of the Mediterranean. It's a piece of nerdy coolness to power a boat from solar energy (and to give it a name from J.R.R. 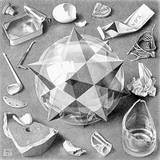 Tolkien) but rather impractical when another renewable energy source—wind—can be mechanically harnessed. Wind also can be converted to electricity with higher efficiency than solar. Still, it is another demonstration that our remaining enslaved to fossil fuels is no more than a choice, and a poor one at that. We could make other choices.